The book chronologically explains the bungling of the federal government as they attempted to be fair to the Indians while at the same time moving them out of the way of settlement. It also delves into the interaction between the Sioux and the Chippewa, including the joint attempt in 1862 to kill all the white people in Minnesota, and how the results of that interaction affected Mille Lacs County, Minnesota and still does today. The author has interwoven national and world events into the historical account to help the reader relate the happenings in Minnesota and Mille Lacs County to the rest of the new nation and the world. With the mention of local names and places, the author brings a sense of reality to the documented history. This book is extremely well documented with footnotes identifying specific archival records. 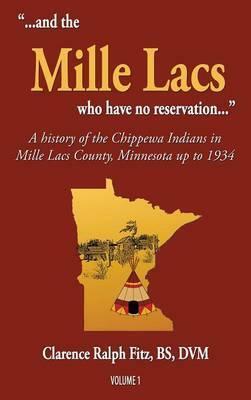 Even the title, ..".and the MILLE LACS who have no reservation ..." is a direct quote of the Commissioner of Indian Affairs in 1892.